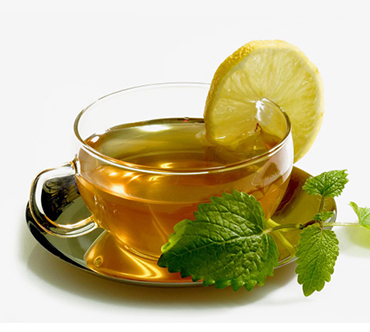 Lemon & mint green tea Lemon and mint tea is a naturally caffeine free tea, has a strong aroma and flavor of mint because of its menthol content. This is an excellent herb tea that detoxifies, rejuvenates and soothes your body. It relieves stress and anxiety and acts as a fatigue buster. Aids in sleep and weight loss. Cures an upset stomach, improves digestion, boosts the immune system and also fights bad breath.